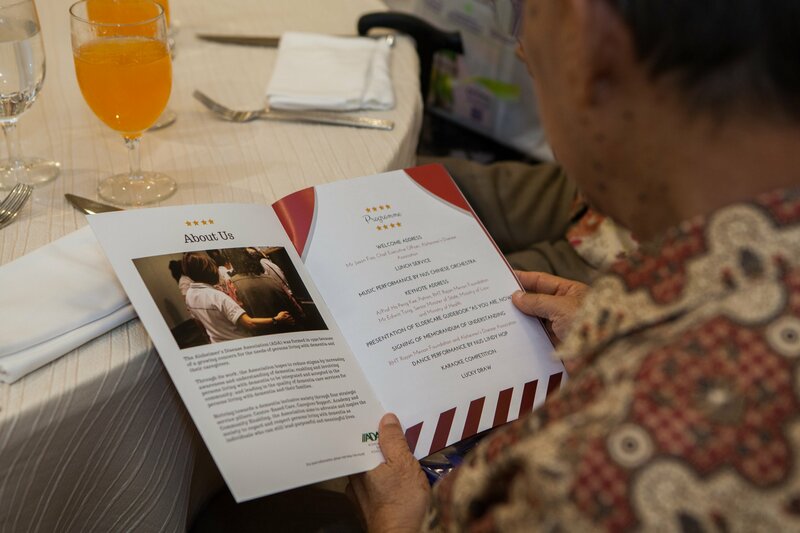 On 5 Jan 2019, close to 150 caregivers of persons with dementia attended ADA’s Caregiver’s Appreciation Gala Luncheon 2019. Organised to show appreciation to caregivers for their dedication and hard work in looking after their loved ones with dementia, the annual event was jointly organised by ADA and students from the National University of Singapore (NUS) Faculty of Law, and was held at the Equarius Hotel, Resorts World Sentosa. At the event, ADA and RHT Rajan Menon Foundation also entered into a Memorandum of Understanding (MoU) to collaborate on the Foundation’s Successful Ageing Project. The aim of the project is to develop a comprehensive and integrated system of care and support, and an age-friendly environment for the elderly in the community. The signing ceremony was witnessed by Guest-of-Honour Mr Edwin Tong, Senior Minister of State, Ministry of Law and Ministry of Health. 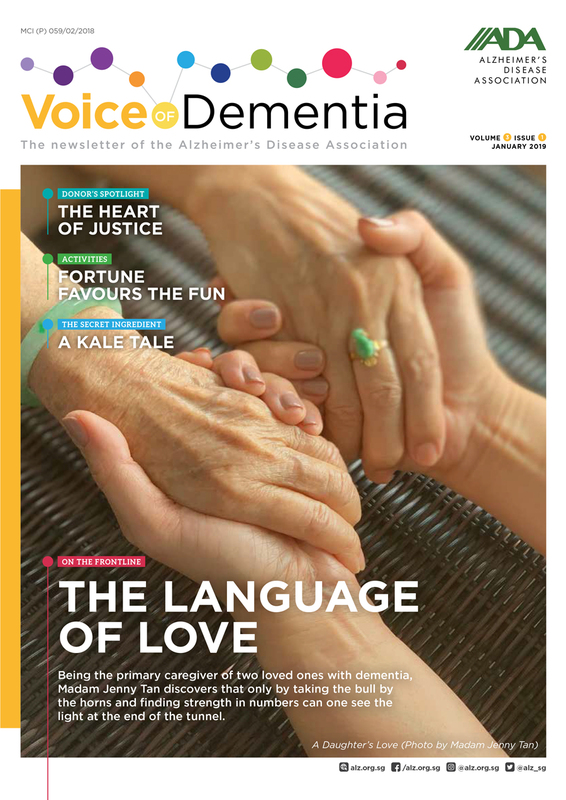 One of the ongoing initiatives under the Successful Ageing Project is the publication of the eldercare guidebook “As You Are, Now.” This guidebook contains useful information on ageing, including dementia, advance home directives, and home and road safety, which will help the elderly as they enter into their golden years. 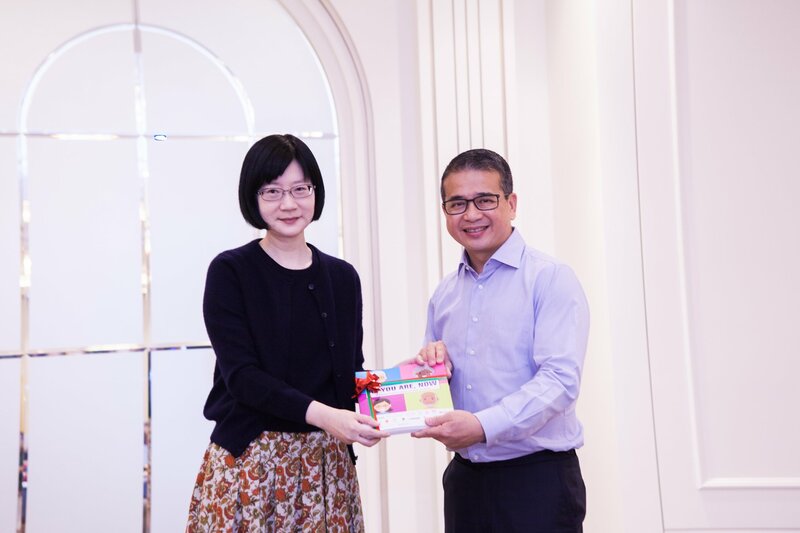 Under the MoU, lawyers from RHTLaw Taylor Wessing will conduct training sessions for the staff and volunteers of ADA to effectively use the guidebook, educating the elderly and their caregivers on ageing right. 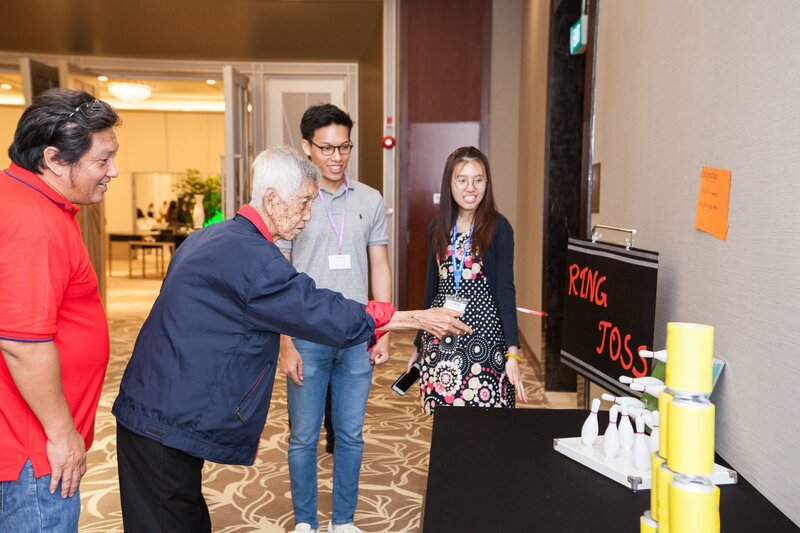 Caregivers and persons with dementia present at the gala luncheon also enjoyed music and dance performances by NUS students, many fun games and activities as well as lucky draw prizes. Event Photos by ADA Volunteer Raymond Yee. More photos on our Facebook page.